Three new character posters from Avengers Age of Ultron have just been released following Iron Man and Hulk's a couple of days back. 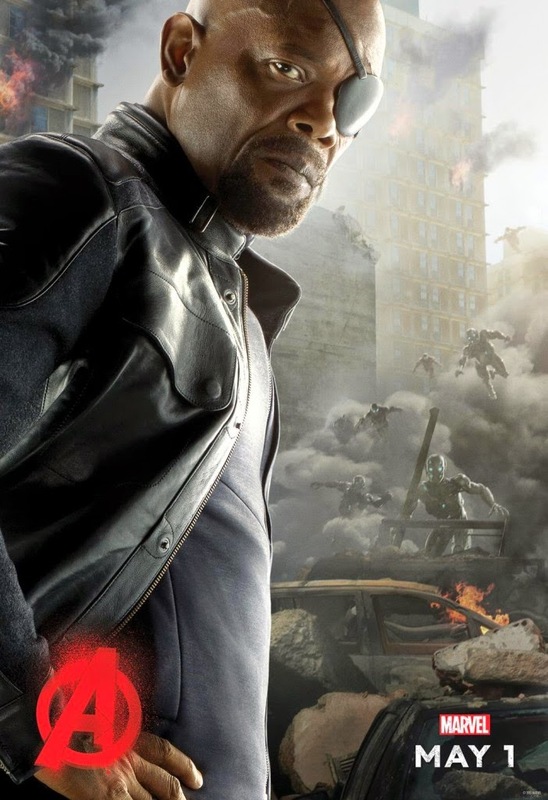 Today we see Black Widow, Thor and Nick Fury's official posters. See them below. Every poster or image I see from this Avengers 2 film, I always see a lot of ultron legions in the background. With that being said, I am thinking here that there'll be a lot of fighting scenes in this film between the Avengers and these ultron robots. Ultron Prime (voiced by James Spader) is even nowhere to be seen. It's going to be a tough day for the Earth's Mightiest Heroes. On the good side of the photos, I looks like everybody gets a new costume design which sort of tells me an upgrade too from the last film. 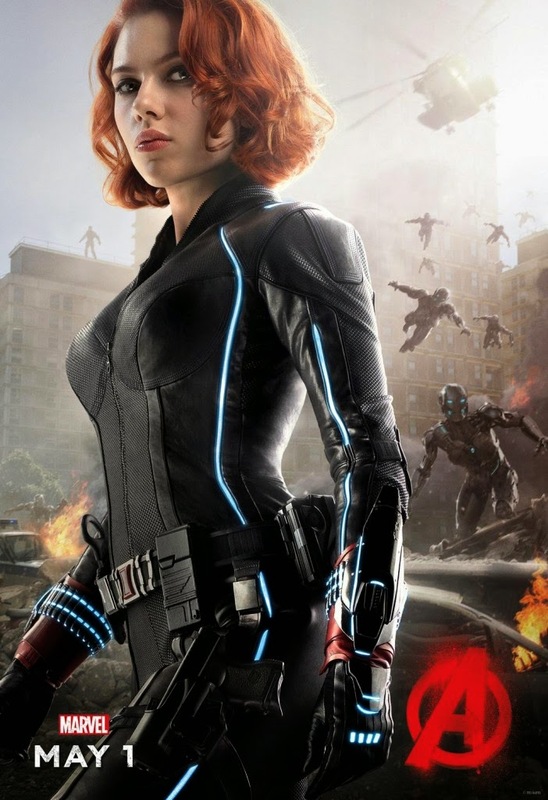 Natasha Romanov's Black Widow, for example, it's very obvious that it's been upgraded thanks to the Tron-esque strips of light from the costume's sides. Hulk is more beefier than ever and I like it. Thor? 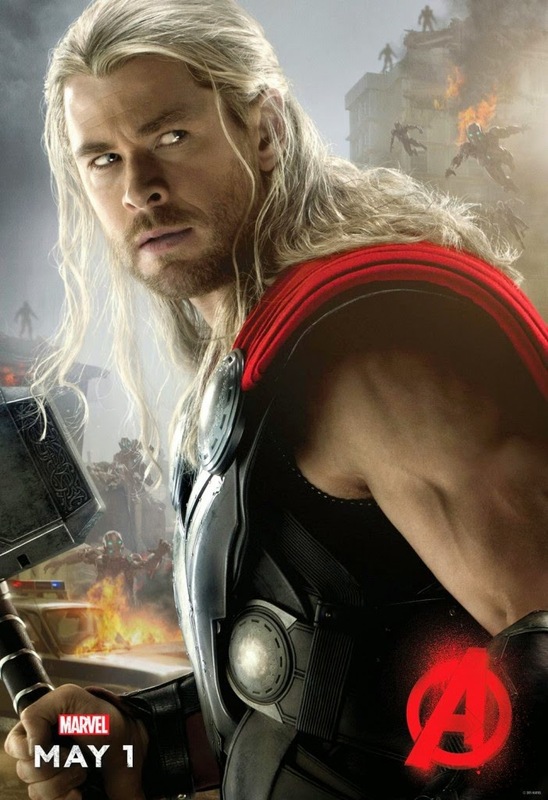 well he's a god of thunder, he's always on top of the list when it comes to strength ( I think). If this new posters trend will continue, I am expecting to see individual character posters for Captain America, Quicksilver, Scarlett Witch, Hawkeye, Ultron Prime, and hopefully a solo and unblurred The Vision's own poster.And yeah a Hulkbuster image too would be nice.